Domestic and International Business crime and regulation. Particular expertise in financially related investigations and prosecutions. Has successfully represented individuals facing investigations and prosecutions undertaken by the Serious Fraud Office, HM Revenue & Customs and Crown Prosecution Service and Health & Safety Executive. 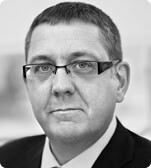 Stephen was the founding director of the firm in 2006. Stephen qualified in 1992 began his career at the Crown Prosecution Service and shortly after moved into private practice, which led to him joining the regulatory department of an international legal practice. The desire to continue offering high quality legal services to clients within a publicly funded environment led to the formation of Stephen Lickrish & Associates. Stephen is a very experienced criminal and regulatory practitioner who has concentrated throughout his career in the discrete representation of individuals involved in often high profile complex financial investigations and prosecutions.